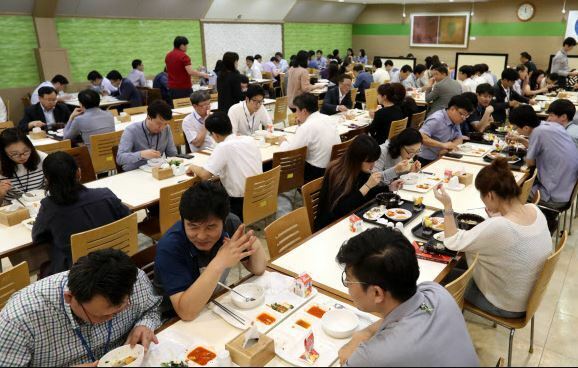 South Korea’s consumer prices rose 0.8 percent in January from a year earlier as agricultural products stabilized and oil products fell, government data showed Friday. The reading represents a decline from the previous month’s 1.3 percent on-year gain, according to figures released by Statistics Korea. It marked the lowest tally in 12 months. From a month earlier, the index fell 0.1 percent. Prices of agricultural, livestock and fishery goods rose 2.5 percent on-year in January, compared with a 5.2 percent on-year gain tallied for December. Prices of industrial goods edged down 0.7 percent in January from a year earlier as oil products fell 9.7 percent during the same period, the agency said. The price of Dubai crude — South Korea’s benchmark — stood at an average of US$59 in January, down from $62.2 in January of 2018.